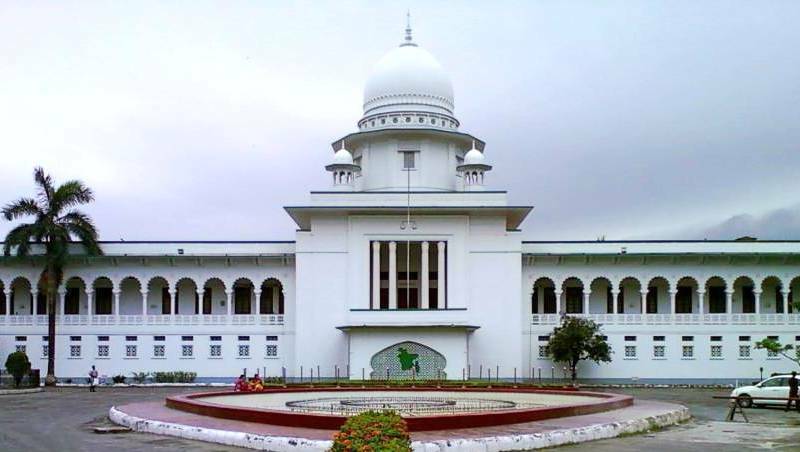 A writ petition was filed with the High Court on Wednesday seeking a stay on the Kurigram-3 by-polls slated for July 25. Advocate Sheikh Jahangir Alam filed the writ petition on behalf of a resident of Kurigram-4 constituency, SM Mostafizur Rahman. An HC bench of Justice JBM Hasan and Justice Md Khairul Alam is likely to hear the petition on Thursday, said Jahangir. The Kurigram-3 constituency fell vacant following the death of Jatiya Party MP AKM Maidul Islam who died on May 11. On April 30, the Election Commission changed the delimitation of 25 constituencies, including Kurigram-3, ahead of the 11th parliamentary elections. According to the gazette issued by the EC, four unions of Chilmari upazila were included in Kurigram-4 constituency. The four unions are Chilmari, Ramna, Raniganj and Thanahat. On June 10, Rangpur regional election officer and returning officer of the polls GM Sahatab Uddin issued a public notice, saying the residents of the four unions can cast their votes in the election although they are included in another parliamentary seat. Terming the decision illegal, Khairul filed the writ petition which sought a stay on the by-polls.